Do the Animals go to Heaven? 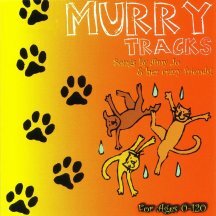 “Murry Tracks” is a Christian children’s CD written by vocalist Amy Doty. All the current (2005) members of Road Trip played on the CD and it was the first recording done at my new recording studio Dave’s Place. We were supposed to have help recording the basic tracks from someone familiar with the new recording equipment I had just purchased, but he blew us off and we were left to figure things out on our own. This made Amrita the “engineer of the day” as she was the only person available to push buttons while the rest of us were busy playing. We had a BLAST recording this CD, though! And thankfully it went to the Noise Chamber and Jimmy Johnson finished the mixing and mastering there. This is a pretty rockin’ kids CD.